This past week Jacob was featured in an exclusive interview on the iTunes-featured blog and podcast, Crewlab, whose mission it is to "support the next generation of hackers, hustlers, and entrepreneurs." 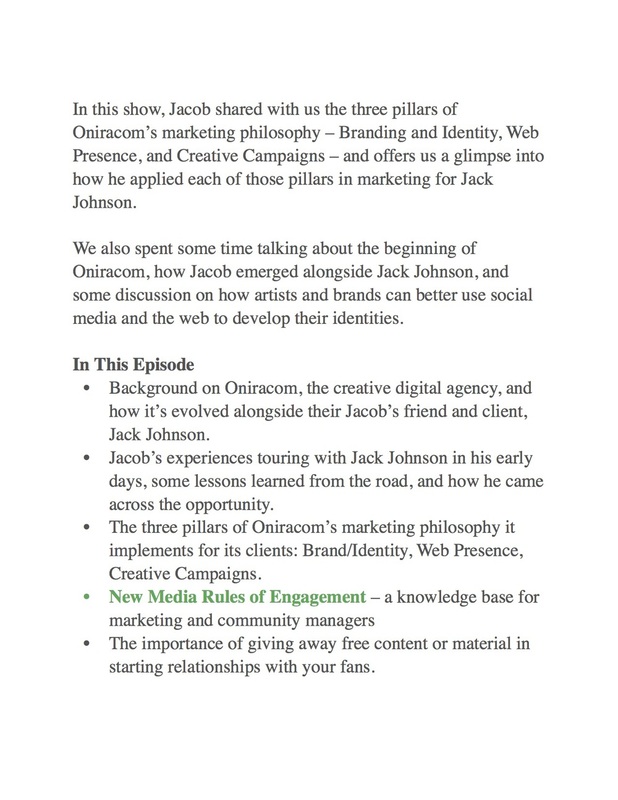 In this interview, Jacob spoke about his work at Oniracom and its marketing philosophy based on Branding and Identity, Web Presence, and Creative Campaigns, that has carried them to their current success. He also delves into his experiences touring with Jack Johnson, the evolution of Oniracom, and his personal advice; “It all comes down to authenticity and transparency. If something isn’t right, speak up. Don’t let it become a problem.” Listen to the full podcast below!